1. Police and Criminal Evidence Act 1984 (s.60 (1)(a) and s.66) Codes of Practice A-F for England and Wales. Her Majesty's Stationery Office,Norwich, London, 2004. 2. British Medical Association's Medical Ethics Committee and Association of Forensic Physicians. Health Care of Detainees in Police Stations. British Medical Association, London, 2004. 3. Stark, M. M., Rogers, D. J., Norfolk, G. A. Good Practice Guidelines for Forensic Medical Examiners. Metropolitan Police. GPG Editors, Oxford, 2004. 4. Metropolitan Police. Medical Care of Prisoners-Person Ill or Injured. Special Notice 37/97. Metropolitan Police, London, 1997. 5. Payne-James, J. J. Work patterns of a forensic medical examiner for the Metropolitan Police. Police Surg. 42:21-24, 1992. 6. Young, S., Wells, D., Jackson, G. A tiered health care system for persons in police custody-the use of a forensic nursing service. J. Clin. Forensic Med. 1:21-25, 1994. 7. Smock, W. S. Development of a clinical forensic medicine curriculum for emergency physicians in the USA. J. Clin. Forensic Med. 1:27-30, 1994. 8. Hocking, G., Kalyanaraman, R., deMello, W. F. Better drug history taking: an assessment of the DRUGS mnemonic. J. R. Soc. Med. 91:305-306, 1998. 9. Howitt, J., Evans, V. The Safety and Security of the Administration of Medication in Police Custody. East Kilbride, Education and Research Committee of the Association of Forensic Physicians, 2004. 10. Howitt, J. Poor conditions of detention compromise ethical standards. J. R. Soc. Med. 88:40P-41P, 1995. 11. Brodie, M. J. Status epilepticus in adults. Lancet. 336:551-552, 1990. 12. Mathur, R., Bell, D. Asthma management in police study. J. Clin. Forensic Med. 3:133-140, 1996. 13. Heller, M. B., Vukmir, R. B. Glucagon for metabolic/endocrinologic emergencies: hypoglycaemia. In Picazo, J., ed., Glucagon in Acute Medicine. Pharmacological, Clinical and Therapeutic Implications. Kluwer Academic Publishers, London, 1992. 14. Payne-James, J. J. The role of cyanoacrylate tissue adhesive (Histoacryl blue) in forensic medical practice. Police Surg. 43:30-31, 1993. 15. Marks, P. V. Acute head injury: assessment and practical management. J. Clin. Forensic Med. 1:43-46, 1994. 16. Jennett, B., Teasdale, G. Aspects of coma after severe head injury. Lancet. 1:878881, 1977. 17. National Institute for Clinical Excellence. Head injury. Triage, assessment, investigation and early management of head injury in infants, children and adults. Clinical Guideline 4. NICE, London, 2003. 18. Leigh, A., Johnson, G., Ingram, A. Deaths in Police Custody: Learning the Lessons. Police Research Series Paper 26. Police Research Group Publications, Home Office, London, 1998. 19. Norfolk, G. A., Rogers, D. J. Head Injury Warning. Education and Research Committee of the Association of Forensic Physicians, East Kilbride, 2004. 20. Payne-James, J. J., Keys, D. W., Wall, I., Dean, P. J. Prevalence of HIV factors for individuals examined in clinical forensic medicine. J. Clin. Forensic Med. 1:93-96, 1994. 21. UK Health Departments. Guidance for Clinical Health Care Workers: Protection Against Infection with Blood-borne Viruses. Department of Health, London, 1998. 22. Regier, D. A., Farmer, M. E., Rae, D. S., Comorbidity of mental disorders with alcohol and other drug abuse: results from the Epidemiologic Catchment Area (ECA) Study. JAMA. 264:2511-2518, 1990. 23. Krausz, M. Old problems-new perspectives. Eur. Addic. Res. 2:1-2, 1996. 24. Lehmann, A. F., Meyers, C. P., Corty, E. Classification of patients with psychiatric and substance abuse syndromes. Hosp. Commun. Psychiatry. 40:1019-1025, 1989. 25. Ingram, A., Johnson, G., Heyes, I. Self Harm and Suicide by Detained Persons: A Study. Police Research Group Publications, Home Office, London, 1997. 26. Norfolk, G. A. Deaths in police custody during 1994: a retrospective analysis. J. Clin. Forensic Med. 5:49-54, 1998. 27. Schnieden, V., Stark, M. M., Payne-James, J. J. Violence in clinical forensic medicine. Med. Sci. Law. 35:333-335, 1995. 28. Schnieden, V., Maguire, J. A Report on Violence at Work and its Impact on the Medical Profession within Hospitals and the Community. British Medical Association, London, 1993. 29. Royal College of Psychiatrists. Using the Mental Health Act-A Training Resource for Doctors. Gaskell, Royal College of Psychiatrists, p. 72, 1997. 30. Johns, A., Clarke, S., Stark, M. M. Management of potentially violent detainees. J. Clin. Forensic Med. 1:139-144, 1997. 31. Traub, S. J., Kohn, G. L., Hoffman, R. S., Nelson, L. S. Pediatric 'body packing'. Achives of Pediatric & Adolescent Medicine.157:1:174-177, 2003. 32. Association of Forensic Physicians and British Medical Association. Guidelines for Doctors Asked to Perform Intimate Body Searches. British Medical Association, London, 2004. 32a. Stark, M. M. Guidelines for Police Surgeons Asked to Perform Intimate Searches for Drugs. Education and Research Sub-Committee of the Association of Police Surgeons, Harrogate, North Yorkshire, 1997. 33. Heinemann, A., Miyaishi, S., Iwersen, S., Schmoldt, A., Puschel, K. Body-packing as cause of unexpected sudden death. Forensic Sci. Int. 92:1-10, 1998. 34. Glass, J. M., Scott, H. J. "Surgical mules": the smuggling of drugs in the gastrointestinal tract. J. R. Soc. Med. 88:450-453, 1995. 35. Das, D., Ali. B. Conservative management of asymptomatic cocaine body packers. Emer. Med. J. 20:172-174, 2003. 36. F. v West Berkshire Health Authority. 2 All ER 545, 1989. 37. Baldwin, J., McConville, M. Confessions in Crown Court Trials. Royal Commission on Criminal Procedure Research Study No. 5. Her Majesty's Stationery Office, London, 1980. 38. Wald, M., Ayres, R., Hess, D. W., Schantz, M., Whitebread, C. H. Interrogations in New Haven: the impact of Miranda. Yale Law J. 76:1519-1614, 1967. 39. R. v Warickshall. 1 Leach 263, 1783. 40. Inbau, F. E., Reid, J. E. Criminal Interrogations and Confessions, 2nd ed. Williams & Wilkins, Baltimore, MD, 1967. 41. Royal, R. F., Schutt, S. R. Gentle Art of Interviewing and Interrogation: A Professional Manual and Guide. Prentice Hall, Englewood Cliffs, NJ, 1976. 42. Walkley, J. Police Interrogation. A Handbook for Investigators. Police Review Publication, London, 1987. 43. Irving, B. Police Interrogation. A Case Study of Current Practice. Royal Commission on Criminal Procedure, Research Study No 2. Her Majesty's Stationery Office, London, 1980. 44. Irving, B. L., McKenzie, I. K. Police Interrogation: The Effects of the Police and Criminal Evidence Act. The Police Foundation, London, 1989. 45. Leiken, L. S. Police interrogation in Colorado: the implementation of Miranda. Denver Law J. 47:1-53, 1970. 46. Kennedy, L. 10 Rillington Place. Grafton, London, 1988. 47. Thomas, T. The Confait confessions. Policing. 3:214-225, 1987. 48. Kee, R. Trial and Error. The True Events Surrounding the Convictions and Trials of the Guildford Four and the Maguire Seven. Penguin, London, 1989. 49. Brandon, R., Davies, C. Wrongful Imprisonment. George Allen & Unwin,London, 1973. 50. Unreliable Evidence? Confessions and the Safety of Convictions. Justice, London, 1994. 51. Kassin, S. M., Wrightsman, L. S. The Psychology of Evidence and Trial Procedure. Sage Publications, London, 1985. 52. Gudjonsson, G. The Psychology of Interrogations, Confessions and Testimony. John Wiley & Sons, Chichester, 1992. 53. Wolchover, D., Heaton-Armstrong, A. On Confession Evidence. Sweet & Maxwell, London, p. 99, 1996. 54. Gudjonsson, G. H., Clark, N. K. Suggestibility in police interrogation: a social psychological model. Soc. Behav. 1:83-104, 1986. 55. Schooler, J. W., Loftus, E. F. Individual differences and experimentation: complementary approaches to interrogative suggestibility. Soc. Behav. 1:105-112, 1986. 56. Gudjonsson, G. Interrogative suggestibility-can it be recognised in custody? In Norfolk, G. A., ed., Fit to be Interviewed by the Police. Association of Police Surgeons, Harrogate, 1997, pp 12-14. 57. Gudjonsson, G. H. Compliance in an interrogation situation: a new scale. Pers. Ind. Diff. 10:535-540, 1989. 58. Groves, T. Explaining false confessions. Br. Med. J. 303:1087-1088, 1991. 59. Miranda v Arizona 384 US 436, 1966. 62. Norfolk, G. A. Fitness to be interviewed and the appropriate adult scheme: a survey of police surgeons' attitudes. J. Clin. Forensic Med. 3:9-13, 1996. 63. Norfolk, G. A. "Fitness to be interviewed"-a proposed definition and scheme of examination. Med. Sci. Law. 37:228-234, 1997. 64. Norfolk, G. A. Fit to be interviewed-a police surgeon's perspective. In Norfolk, G.A., ed., Fit to be Interviewed by the Police, Association of Police Surgeons, Harrogate, 1997, pp 43-48. 65. Clarke, M. D. B. "Fit for Interview?" Police Surg. 40:15-18, 1991. 66. Carpenter, J. A. Effects of alcohol on some psychological processes. A critical review with special reference to automobile driving skill. Q. J. Stud. Alcohol. 23:274-314, 1980. 67. Loftus, E. F. "Did I really say that last night?" Alcohol, marijuana and memory. Psychol. Today. 92:42-56, 1980. 68. Carpenter, J. A., Ross, B. M. Effect of alcohol on short-term memory. Q. J. Stud. Alcohol. 26:561-579, 1965. 69. Yuille, J. C., Tollestrup, P. A. Some effects of alcohol on eyewitness memory. J. Appl. Psychol. 75:268-273, 1990. 70. Rogers, D. J., Stark, M. M., Howitt, J. B. The use of an alcometer in clinical forensic practice. J. Clin. Forensic Med. 2:177-183, 1995. 71. Yesavage, J. A., Leirer, V. O. Hangover effects on aircraft pilots 14 hours after alcohol ingestion: a preliminary report. Am. J. Psychiatry. 143:1546-1550, 1986. 72. Gudjonsson, G., Hannesdottir, K., Petursson, H., Bjornsson, G. The effects of alcohol withdrawal on mental state, interrogative suggestibility and compliance: an experimental study. J. Forensic Psych. 13:53-67, 2002. 73. Association of Police Surgeons and Royal College of Psychiatrists. Substance Misuse Detainees in Police Custody. Guidelines for Clinical Management (2nd ed.). Report of a Medical Working Group. Council Report CR81. Royal College of Psychiatrists, London, 2000. 74. Sigurdsson, J. F., Gudjonsson, G. H. Alcohol and drug intoxication during police interrogation and the reasons why suspects confess to the police. Addiction. 89:985997, 1994. 75. Davison, S. E., Forshaw, D. M. Retracted confessions: through opiate withdrawal to a new conceptual framework. Med. Sci. Law. 33:285-290, 1993. 76. Stark, M. M. Management of drug misusers in police custody. J. R. Soc. Med. 87:584-587, 1994. 77. Zacny, J. P. Should people taking opioids for medical reasons be allowed to work and drive? Addiction. 91: 1581-1584, 1996. 78. Ross, D. F., Read, J. D., Toglia, M. P. (eds.) Adult Eyewitness Testimony. Cambridge University Press, Cambridge, 1994. 79. Gudjonsson, G. H. The vulnerabilities of mentally disordered witnesses. Med. Sci. Law. 35:101-106, 1995. 80. Bluglass, R., Bowden, P. Principles and Practice of Forensic Psychiatry. Churchill Livingstone, Edinburgh, 1990. 81. Rix, K. J. B. Fit to be interviewed by the police? Adv. Psychiatr Treat. 3:33-40, 1997. 82. Gudjonsson, G. "Fitness for interview" during police detention: a conceptual framework for forensic assessment. J. Forensic Psychiatry. 6:185-197, 1995. 83. Halstead, S. Forensic psychiatry for people with learning disability. Adv. Psychiatric Treat. 2:76-85, 1996. 84. Gudjonsson, G., Clare, I., Rutter, S., Pearse, J. The Royal Commission on Criminal Justice. Persons at Risk During Interviews in Police Custody: The Identification of Vulnerabilities. Research Study No. 12. Her Majesty's Stationery Office, London,1993. 85. Lyall, I., Holland, A. J., Styles, P. Incidence of persons with a learning disability detained in police custody. A needs assessment for service development. Med. Sci. Law. 35:61-71, 1995. 86. Murphy, G., Clare, I. C. H. People with learning disabilities as offenders or alleged offenders in the UK criminal justice system. J. R. Soc. Med. 91:178-182, 1998. 87. Mayou, R. A. Emotional reactions to disorders. In Weatherall, D. J., Ledingham, J. G. G., Warrell, D. A., eds., Oxford Textbook of Medicine, 2nd ed. Oxford University Press, Oxford, 1987. 88. Lishman, W. A. Organic Psychiatry. The Psychological Consequences of Cerebral Disorder. 2nd ed. Blackwell Scientific Publications, Oxford, 1987. 89. Lishman, W. A. Specific conditions giving rise to mental disorder. In Weatherall, D. J., Ledingham, J. G. G., and Warrell, D. A., eds., Oxford Textbook of Medicine. 3rd ed. Oxford University Press, Oxford, 1996. 90. Williams, D. The psychiatry of the epileptic. Proc. R. Soc. Med. 56:707-710, 1963. 91. Laidlaw, J., Richens, A., Chadwick, D. (eds.) A Textbook of Epilepsy. 4th ed. Churchill Livingstone, Edinburgh, 1993. 92. Teasdale, G. M. Head injuries. In Weatherall, D. J., Ledingham, J. G. G., and Warrell, D. A., eds., Oxford Textbook of Medicine, 3rd ed. Oxford University Press, Oxford, 1996. 93. Whitty, C. W. M., Zangwill, O. L., eds. Amnesia. Butterworths, London, 1977. 94. Pearce, J. M. S. Headache. In Weatherall, D. J., Ledingham, J. G. G., and Warrell, D. A., eds., Oxford Textbook of Medicine. 3rd ed. Oxford University Press, Oxford, 1996. 95. Droba, M., Whybrow, P. C. Endocrine and metabolic disorders. In Kaplan, H. I., Sadock, B. J., eds., Comprehensive Textbook of Psychiatry, vol. 2, 5th ed. Williams and Wilkins, Baltimore, 1989. 96. Deary, I. J. Effects of hypoglycaemia on cognitive function. In Frier, B. M., Fisher, B. M., eds., Hypoglycaemia and Diabetes: Clinical and Physiological Aspects. Edward Arnold, London, 1993. 97. 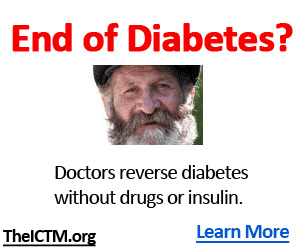 Levy, D. Management of diabetes in clinical forensic practice. J. Clin. Forensic Med. 3:31-36, 1996. 98. Hodges, J. R. Dementia, introduction. In Weatherall, D. J., Ledingham, J. G. G., Warrell, D. A., eds., Oxford Textbook of Medicine, 3rd ed. Oxford University Press, Oxford, 1996. 99. Pearce, J. Dementia. A Clinical Approach. Blackwell Scientific Publications, Oxford, 1984. 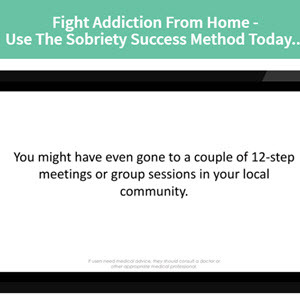 Get All The Support And Guidance You Need To Be A Success At Dealing With Drugs. 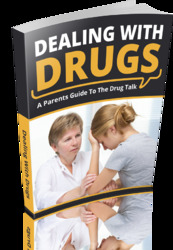 This Book Is One Of The Most Valuable Resources In The World When It Comes To A Parents Guide To The Drug Talk. Fitness, Headache, How to withdraw from cocaine, Substance Abuse Help, Drug Abuse Treatment, Short Term Memory, How to Treat Alcohol Withdrawal with Natural Remedies?